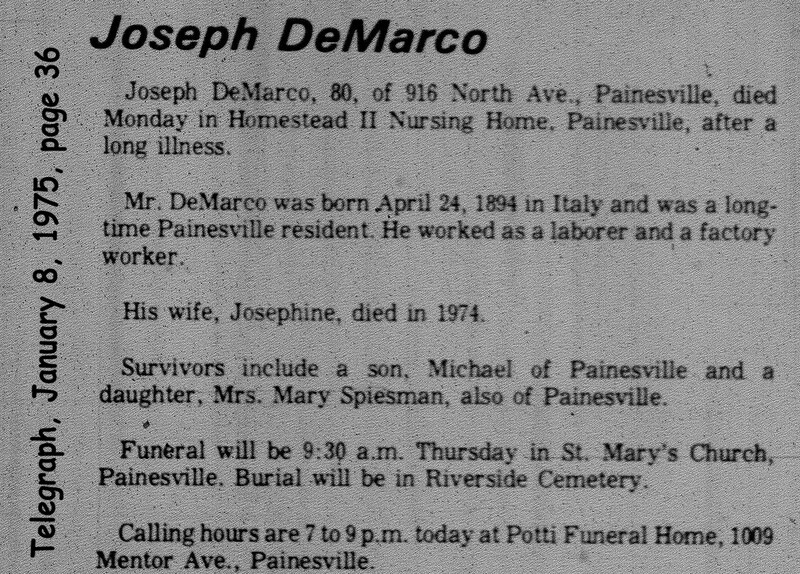 Joseph DeMarco first appears in at Painesville, Lake County, Ohio, in 1937. He lived at Geauga County, Ohio, on April 1, 1935. Joseph DeMarco was born on Tuesday, April 24, 1894, at Italy. Joseph married Josephine Pietracalello about 1936. Josephine Pietracalello was born at Pittsburg, Pennsylvania. Joseph died on January 6, 1975, at Homestead II Nursing Home, Painesville, Lake County, Ohio, at age 80. His body was interred at Riverside Cemetery at Painesville, Lake County, Ohio. 1. 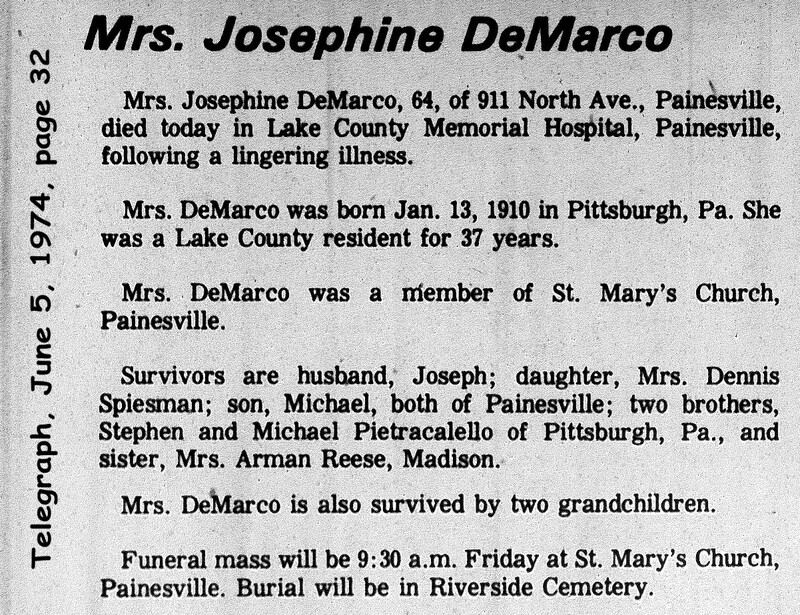 Mary M. DeMarco, daughter of Joseph DeMarco and Josephine Pietracalello, was born in October, 1939, at Ohio.